Arnd (Homepage) wrote: A stunning and beautiful sunrise photograph. Love your composition with the coconut (?) in the foreground. 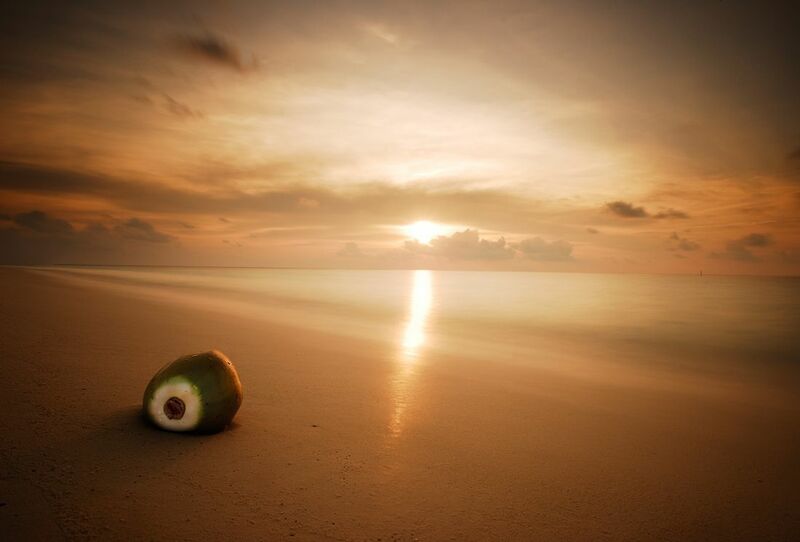 HF (Homepage) wrote: A great composition - the coconut makes it!